Today in this post I will tell you how you can use Google Talk badge in your blog or website. Google Talk badge is a good way to connect and interact with your readers/visitors on your blog or website. And they great thing about this is your readers/visitors don’t need to sign-up or sign-in anywhere, they will just click on the badge and start chatting with you. You can also use it as online support for the products and services you provide. 7. Now copy the code from bottom of that page and past it where ever you want to put your badge. Whatever your status ( Available, Busy, Idle, Invisible and Offline) will be in your GTalk it will show the same status in your badge. But visitors will only able to talk to you when your status will be Available. Whenever a visitor will click on that badge to chat with you a popup chat will automatically open to show that someone wants to talk to you and you can make a first step with a Hello!, your name or such before that visitor do. And Note that none of your chat with your visitors will get save. Hope this will help you to interact with your readers and visitors. Do tell us how you use it and what your experience with it was. Today in this post I will tell you about Gmail new feature Email delegation. 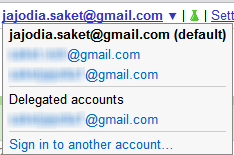 Yesterday I told you about Gmail new feature by which you can restore your deleted contacts. Now recently Google introduced one more new feature by which you can delegate your email access to whomever you want on Gmail. After when you delegate your email access to the other person he/she don’t have to ask you for your ID and password. And also they don’t have to logout from their account to access your account. They can have full access to your Emails, Contacts and Chat history, edit, delete, add, compose and send emails of your behalf and whatever they want to. 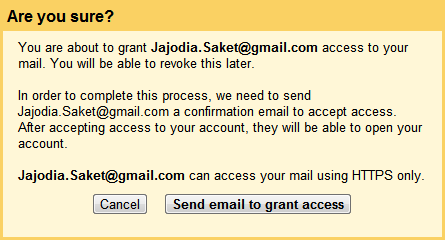 But there are certain limits also they can’t chat with your friends, they don’t have full access to Gmail setting, whatever email they will send using your ID in the place of from it will show your email ID but it will also show sent by the person you sending this email using delegate and they also don’t have access to your other Google services. 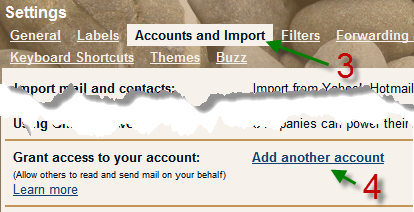 Now after they accept it, they can see your email ID in a drop-down at the top-right corner of the page as we see for Multiple sign-in. 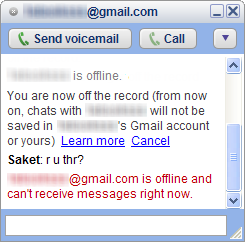 Today in this post I will tell you how you can track whether your Gtalk friend is invisible or offline. 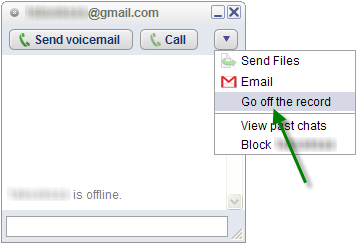 Google have an option of being in invisible mode using Gmail but if you are using Gtalk you won’t be able to get invisible. However follow the following steps to know whether your friend is invisible of offline. 5. If you get something in red (yourfriendid@gmail.com is offline and can’t receive messages right now.) that means your friend is offline. When you select the option Go off the record that means from now when you will send any massage or chat whit that person, your and that persons massages both will not get save in both of your ID. This change is permanent till you want. And if you want to save the chat then again click on that drop-down and select Stop chatting off the record now all your chat will get save in both of your ID, you and your friend’s ID.